Do you want to see the superstars of the Paleo movement on stage? Then you want to be in LA August 5-6 this year. Only 35 tickets remain (out of 500) so if you want one it’s time to decide. I will be there – will you? 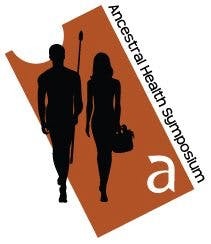 I had a ticket but then found out my first grandchild is due near the time of the symposium. I was able to sell my ticket so my chair will not sit empty. I plan to attend the next one.